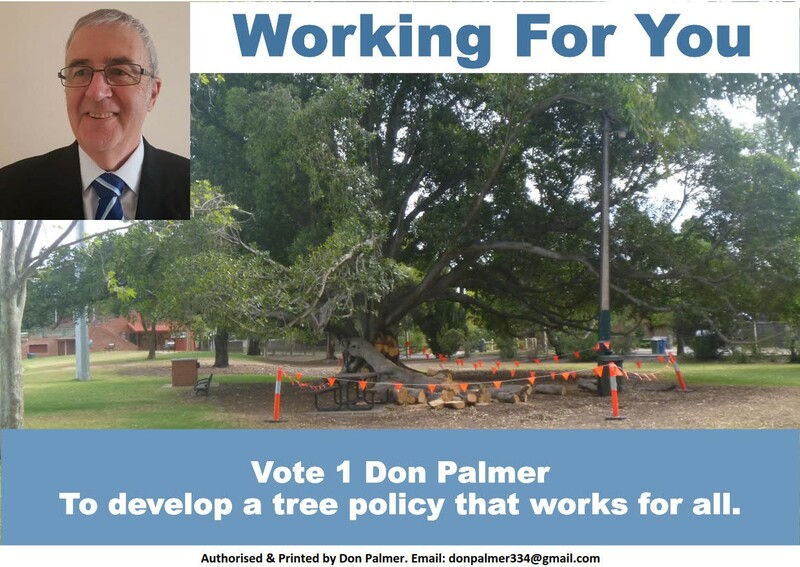 The City of Unley needs a Tree Policy that works for all. One that balances all the needs of our Community. To achieve this I make this election pledge: to develop a tree policy that works for all. I pledge to fight for an improved tree policy, one that recognises all needs. A tree policy that works for all. With a loss of 23% of tree canopy in recent times there has been a cry from many in our community to introduce measures that protect against further loss. Equally there have been many in our community incensed with trees they view as dangerous which are not removed. Two major contributors to the loss of canopy cover are the loss of trees on private property, through redevelopment. This is through the conversion of single houses into 2, 3 or even 4 in its place. It comes also from home improvements. We need to find ways to ensure we have a responsible tree cover notwithstanding our communities desires for accommodation. Shade is essential as our citizens walk or cycle in our public spaces. We can do this. My own observations within the Clarence Park Ward is we still have room for more street and park plantings. I will advocate for this. At the same time we need to be conscious that we all need to be able to move around our streets. That is able people, mothers and kids (including in prams), aged persons and those of us with disabilities. We need therefore to be discerning about where we plant trees. As much as we have a need to encourage increased tree cover we need to look at ensuring the safety of our community. Safety of both person and property. ✓ We need a tree policy that recognises trip and slipping hazards on our footpaths. ✓ We need a tree policy that recognises the dangers a tree may present with dropping limbs/branches onto houses, onto people (kids in particular). We need to recognise the nuisance value of trees that may contribute to leaking in houses due to gutter blockages etc. Only by addressing all these competing interests can we expect to develop a tree policy that works for all. 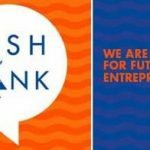 Providing Local Leadership: Ensuring Financial Responsibility. 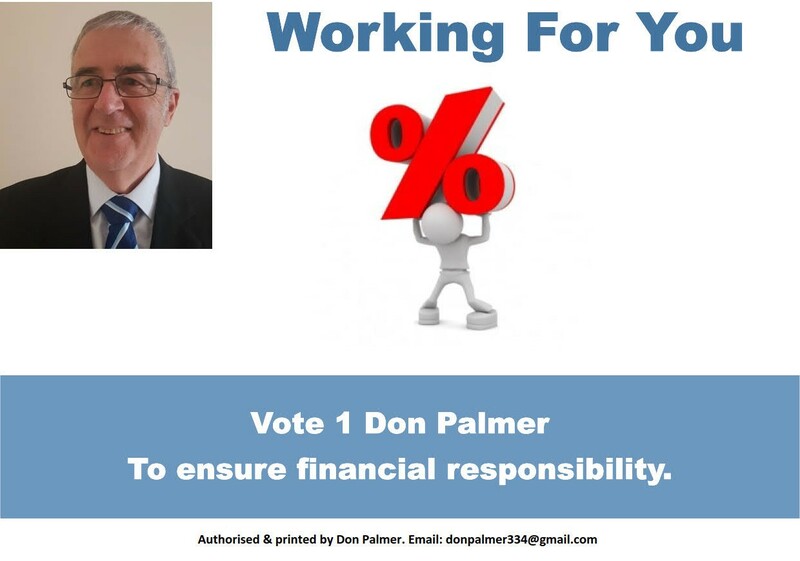 Ensuring financial responsibility is one of the major obligations of an elected member of Council. Without financial responsibility there is no limit to what a Council could charge its ratepayers for the services they provide. Councils have an obligation to provide services to their community. Many of these are mandated by the Local Government Act. 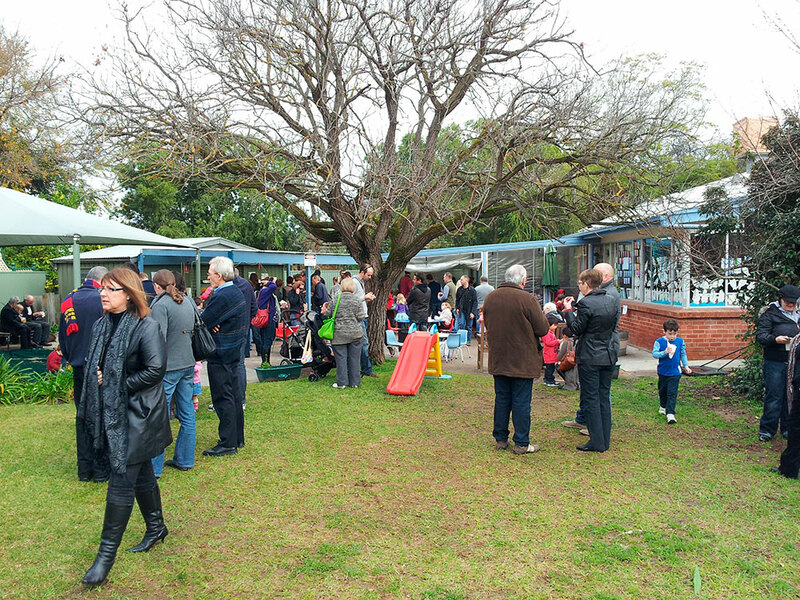 Many are the result of Council responding to community needs over time. They have however a responsibility too, to keep expenditure on these services to a level our community can afford. Whatever the impetus behind the provision of a service they do come at a cost. Every time Councillors make a decision at a Council meeting it invariably means the commitment of dollars ($). Quite frequently it also means adding to the long-term cost of running the Council. Initiatives like changing footpaths from bitumen paved to paved with concrete pavers not only come at a one time cost. They also add to the long term budget. Such an exercise adds to the budget for (in this case) in excess of 20 years just to make it happen. It adds permanently to the maintenance budget as well. Maintaining concrete/brick pavers come at a cost well in excess of bitumen. Why? Pavers last longer than bitumen. They are not flexible however and easily create trip hazards we would not see with bitumen. A decision by Council decades ago has impacted on all of us. The cost to you and I of this decision is significant. The current council has been very conscious of this impact. We have been very discerning about the decisions we make as a result. Those members who continue (I hope I am one) will take this same responsibility going forward. 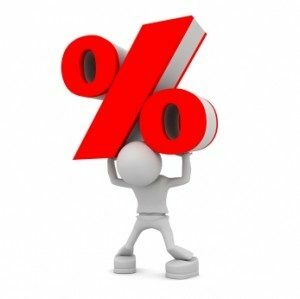 We have in my opinion kept rate rises to an absolute minimum. As I have blogged before, we have been imposing a rate cap on ourselves for the last 6 years or so. We have delayed therefore projects and not included initiatives requested by our community because of it. It is my intention to continue providing local leadership by ensuring financial responsibility with my contribution in all the decisions we make. That said, we also do not need any external oversight, other than from you. The current Government is intent on rolling out the planning reforms of the previous Government. Communities need to be aware of the policies and procedures being proposed. They need also to know of a lack of heritage preservation therein. Your council, as we have with all the stages thus far, is responding to the current step in the process. This process is establishing a raft of draft State Planning Policies. Following on from my earlier blog post today I have been reviewing the City of Unley’s response to the draft. I am concerned that the Government, like their predecessors, have little regard for local nuances. 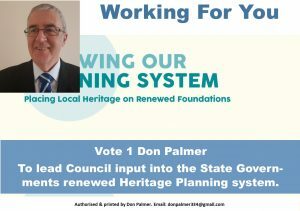 There appears to be disappointing lack of regard, importance and comprehensive appreciation for heritage by the State. This notwithstanding heritage preservation is a long-standing and well supported priority by the community. There appears to me a clear focus that they are looking for a universal, one size fits all strategy. Confirmation from the State that they support for cultural heritage. Recognition of the importance of conserving built heritage. Recognition of both state and local built heritage ‘places’ and ‘areas’ of value, ie Historic Conservation Zones and Contributory Items. We (you and I) need to fight for better than this. A greater weight than appears to be being considered needs to be given to heritage preservation. Good planning policy should not ignore heritage. I am prepared to provide local leadership. A fight against what appears to be an illogical paradigm that preserving our heritage, whether cultural or built form is contrary to sensitive and diverse future development. Protecting heritage and character areas is something the City of Unley has fought hard for. This was our first goal in working with the Government when they first started revising the Development Act. Protecting heritage and character areas was our first focus when the previous State Government introduced their wish to change the planning system. In return we guaranteed we could provide the numbers of additional housing to meet their 30 year plan. Afterwards, the then Minister challenged the concept of character housing. The current Government appears to have a similar view to him. They appear to have a view that demolition of local heritage buildings be by a simple merit based consideration. Considerations not much different to standard housing. Their focus right now is not only on local heritage but on character housing zones. It appears the Government is looking to water down the provisions of protecting local heritage and character zones. They are looking to make demolition easier. They see the answer being the use of generic rules. Rules that in my opinion may work in one area but not reasonably in another, such as Unley. 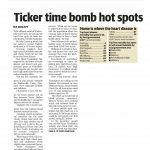 The current Council has continued to lobby for protections seen as important by Unley’s community. The new Council will need to continue the fight. The new council will need briefing as soon as is practicable. Immediately after they are commissioned in order that we can continue the fight is preferable. This whole planning overhaul is moving in a way that limits our ability to respond on behalf of our community. The new council, in this background, needs to be provided an opportunity to understand the history, the process and the schedule going forward so as to contribute appropriately. Accordingly, I have already prompted our Management to engage the new Council immediately they are commissioned. 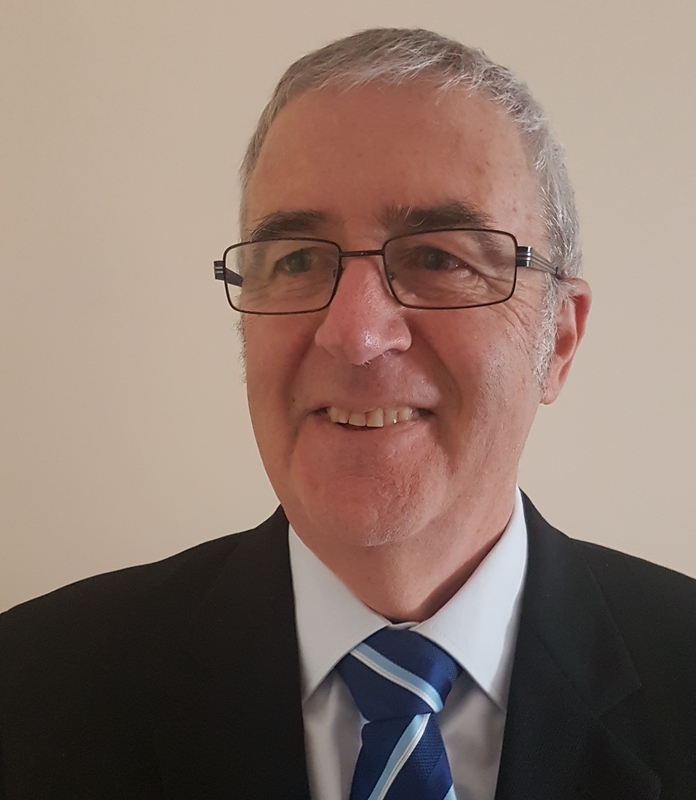 With the aim of protecting heritage and character areas, if re-elected, I will continue in providing local leadership to guide the new Council through the lobbying yet to do. Providing Local Leadership: Working For You, advocating for and representing you. One of the greatest pleasures I experience as a Councillor is when I am working for you directly. When I am advocating for and representing you with the bureaucracy. 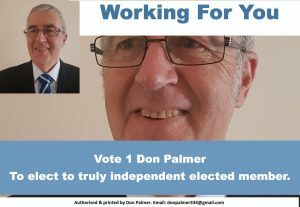 A councillor has two roles. One of these according the Local Government Act is. 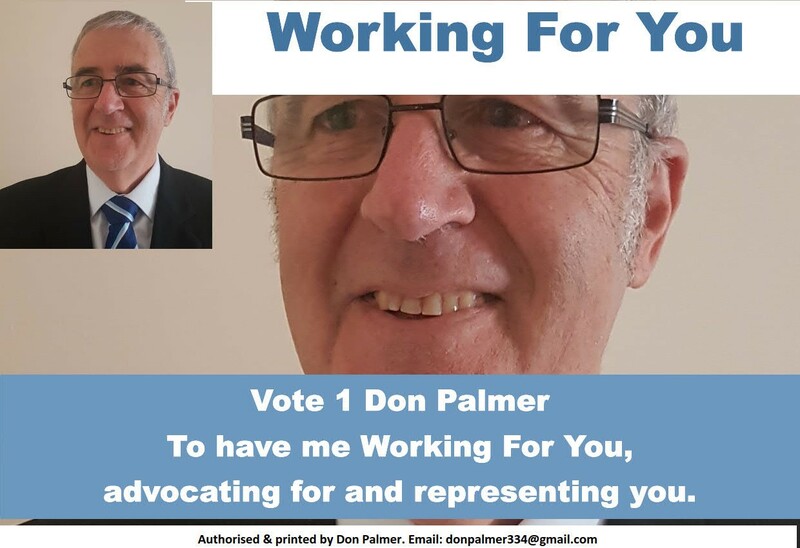 So, when I am not in the chamber participating in the deliberations of Council, I am working for you to address concerns you may have with council. I am helping you to navigate through the bureaucracy. Advocating for and representing you. I love this part of the job. As much as I enjoy the responsibility of making decisions on your behalf, helping you is the most rewarding. The bureaucracy can be an intimidating, sometimes remote beast that can be challenging at the best of times. My experience on Council, indeed my relationships with the staff, allow me to mentor and guide you when it seems like we don’t care. Sometimes my assistance will simply be guiding you in how to communicate to Council and its staff. Often it will be to represent you and advocate for you. Many of you have asked for my assistance in communicating with Council. Working for you and with you has resulted in numerous successes. While not successful on all occasions, I am proud that I have won many a concession for and on your behalf. That said, as many of you know I have a passion for improving the communication between you and council. I will be blogging shortly on my mission to ensure training of our staff in communication skills. If I achieve this you should not need my intervention as much. Gee. I might do myself out of a job. Until then and beyond I will continue to be advocating for and representing you. It seems every year the fortnightly or weekly bin debate recurs. This has been the storey dominating the media cycle today. So frequently what we continue to hear is it is all about cost saving. I have entered this debate frequently in the past. 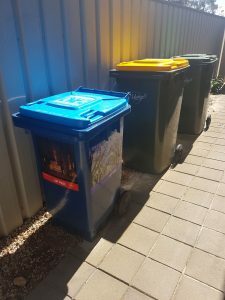 Each time I have advocated that the question should not be about reducing the blue bin but about increasing the frequency of the green bin collection. Our food stuff, the smelly stuff, the stuff that attracts ants should go in the green bin. We should therefore be talking about this bin being collected weekly. Conversely the blue bin, which goes to landfill, should be fortnightly. In other words this should not be a debate focused on fortnightly or weekly. It should be about green verses blue. An opinion incidentally I expressed today to Channel 9 when interviewed by chance in my own street. We believe however and are being told the blue bin contains the smelly, ant attracting rubbish. This means that we as a society are not interested in getting biodegradable rubbish away from landfill. It’s important to note, in spite of what you may be hearing, is that the LGA does not yet have an endorsed position on waste collection frequency. Until its member councils are consulted, the LGA cannot hold a position. This has not yet happened. All it is doing is trying to start the conversation. The State Government must take the lead as the frequency of collections is set in their legislation. Any position that the LGA (on behalf of councils) might take, they (we) can only lobby the State Government to consider changing the collection. Based on comments however made by both the Government and the Opposition today, it appears unlikely that there is support in Parliament for changes to the current system. This means they are not interested in taking the lead in better waste disposal. When was the last time you found yourself righting a wrong. My last time was last night. That is when I moved a motion to have a previous council decision to implement parking restrictions reversed. After the original decision was made I felt sick. I knew we had made the wrong decision. Accordingly I apologised to the residents for what had occurred, believing that the decision could not be reversed. 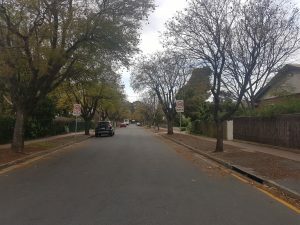 Millswood residents (around Goodwood Oval) were surveyed recently for their thoughts as to whether or not they were experiencing commuter inspired parking issues. They were prompted in this survey whether these issues warrant implementing parking restrictions. The residents in Graham & Meredyth Avenues were not included in the survey and therefore had no say. Having not been included in the survey, their streets were therefore not included in a motion proposed by our administration. In their wisdom, Council amended this motion in what we believed was a way to recognise the missing streets. As can happen on the night in the chamber we got it horribly wrong. We created a situation for the residents of the two streets that were indeed worse for them. Last night I moved a motion to correct this. I tabled a motion to have the council decision to implement parking restrictions reversed. In putting the motion, I argued that it was not fair to link them to the results of a survey they were not party to. Equally it was unwise to implement a solution to a problem that may not exist in the future. Council agreed with me. The motion was seconded by my co-councillor Jennie Boisvert. It was passed unanimously. In other words Council obviously saw and accepted their error. They showed they had the collective strength of character to accept they were wrong and correct it. With the decision to implement parking restrictions reversed we can now focus on whether or not providing parking restrictions in nearby streets will impact on their streets or not. This we will do over the next 6 months. If we find that parking issues have arisen and that parking restrictions need to be considered we will consult first with the residents, as always we should. Providing Local Leadership: Future use of the Hockey Field. 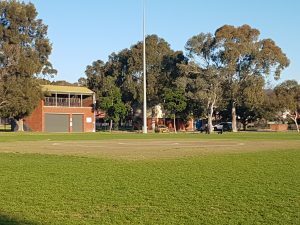 What will be the future use of the hockey field at Goodwood Oval? A study into the future use of the hockey field at Goodwood Oval will commence soon. Providing local leadership, Co-Councillor Jennie & I pushed to have this included in the current budget of Council. The Forestville Hockey Club will soon, as we all know, be moving to the Women’s Memorial Playing Fields. The move however is well into the future, as much as 3 or more years away. Rather than wait however, it is important that we consider the future use of this area now. There are many possible solutions. 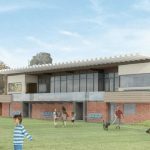 There is bound to be many a competing interest in the strip of dirt located in the south east corner of the Goodwood Oval precinct. We need time to work through options that will surface. Providing local leadership and working with and for you will see the best solution become apparent over time. Knowing the needs and aspirations of those who may stake a claim will prove a valuable asset to whomever will be providing local leadership during this exercise. As a frequent user/visitor of Goodwood Oval I know what its limitations are. I also know the opportunities. Already having a relationship with all the possible interest groups as we consider the future use of the hockey field places me well to work with you and for you to enable the best solution to reveal itself. Managing the use of Goodwood Oval is the elephant in the room as we redevelop the grandstand and consider the use of the Hockey Field. Indeed, it may be fairer to say managing the overuse of Goodwood Oval. Everyone should know how proud I am of the various sporting clubs residing in the west of the City of Unley. This small geographical area boasts some very successful clubs. Leaders in their competitions. The Goodwood Saints Football Club and the Goodwood Roos Cricket Club feature prominently. Both are community clubs. Both have extensive junior programs. This may be the testimony to their undoubted success. 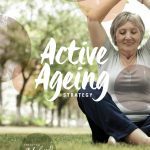 Their programs, particularly their junior programs, fit beautifully into the Active Unley program of Council. Trouble is they are doing so well that the facility known as Goodwood Oval is suffering from overuse. There is a need therefore for to be better managing the use of Goodwood Oval. The community and the Council need to encourage the clubs to continue to provide what they are offering. We need however to find ways to help them do this and to allow the rest of the community access to this marvellous facility. 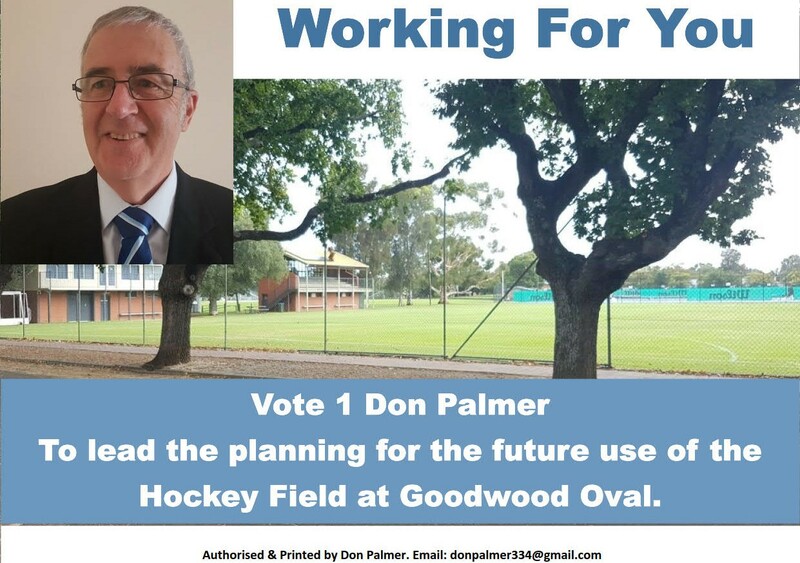 In managing the use of Goodwood Oval, we have two directions I will be promoting. Council has, under my guiding, endorsed the first of these. That is to investigate redeveloping Ridge Park up at Myrtle Bank for junior sport. This will commence soon. The second I have started prompting on. That is to explore resurfacing the whole of the Oval. If this is an option, if this potentially creates an oval that can handle the traffic, it needs to be explored. Now is the time to do this too. With the Grandstand soon to be demolished and a new one built there can be no better time to explore our options here. At the very least we need to examine the reconstruction of the centre pitch area. By providing local leadership I am intent on advocating on behalf of the whole Clarence Park ward community for this to occur. Sporting Clubs and residents alike.